We are working with a team of deft professionals who manage the entire task proficiently and lay special emphasis on product packaging so as to ensure safe and secure deliveries. We have massive and well-organized warehouse, divided into specific areas in order to automate inbound, outbound and in-stock operations, due to which we are capable of making quick deliveries in the less time. 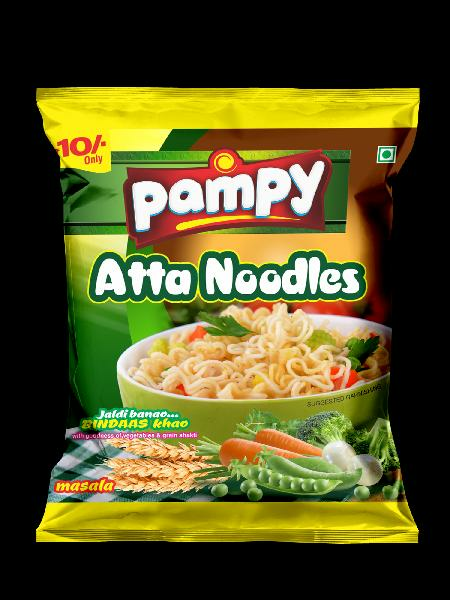 Our delicious Pampy atta noodle is an absolute treat for the food zealots. All Rights Reserved. Pampy Foods (P) Ltd.